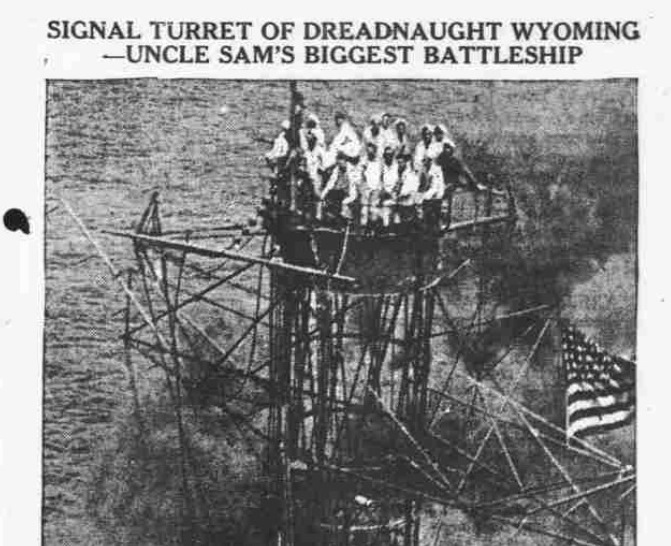 Here we see one of the best of Uncle Sam’s early dreadnought-style battleships at play. 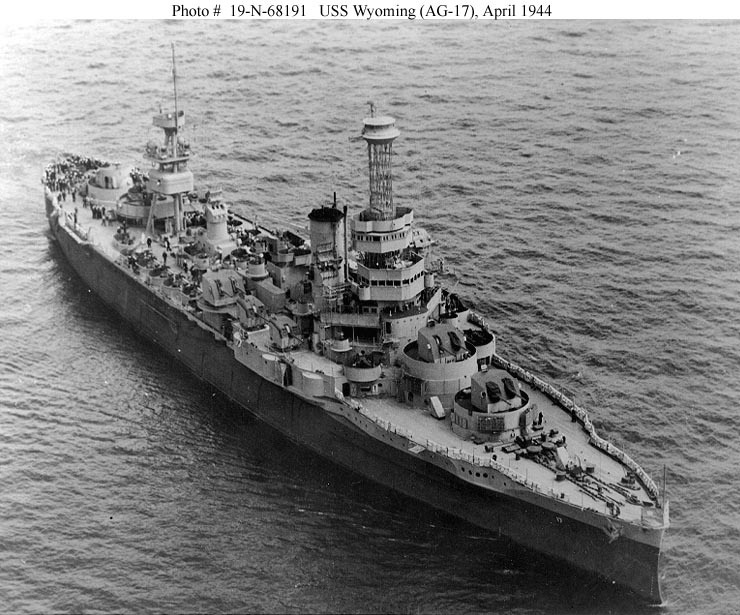 We present to you the USS Wyoming BB-32. The ship was named not only for the State, but for two previous USS Wyoming, the first a screw sloop of war that fought in the Civil War, the second for an Arkansas-class monitor turned submarine tender (BM-10) that was renamed USS Cheyenne, 8 October 1908 so that the battleship could assume the more regal state name. Laid down at William Cramp and Sons in Philadelphia in February 1910, Wyoming was just the 7th American Dreadnought, but when compared to the previous Florida-, Delaware-, and South Carolina-class ships built between 1906-1911, she was far superior. With a full load of 27,243 long tons and a 562-foot overall length, she could make an impressive 21-knots on her 12 coal-fired boilers pushed by a quartet of direct-drive steam turbines. Capable of steaming 8000 miles without refueling, she had long legs for the time. A dozen 12″/50 caliber Mark 7 guns (305 mm) in six twin turrets coupled with a secondary battery of no less than 21 5-inchers gave her a punch that rivaled any battleship afloat in Europe while her 9-12 inches of armor plate in important areas meant she could take the punishment if needed. Overall, Wyoming, when completed in 1912 she was the best ship in the Navy and comparable to any battlewagon in the world. Built in just 16-months, Wyoming immediately became the flagship of the US Atlantic Fleet. As such she spent several years steaming in the Gulf of Mexico, Caribbean, and Mexican waters. She intervened in Mexico in 1914 and in Haiti in 1916 exercising the best in gunboat diplomacy. 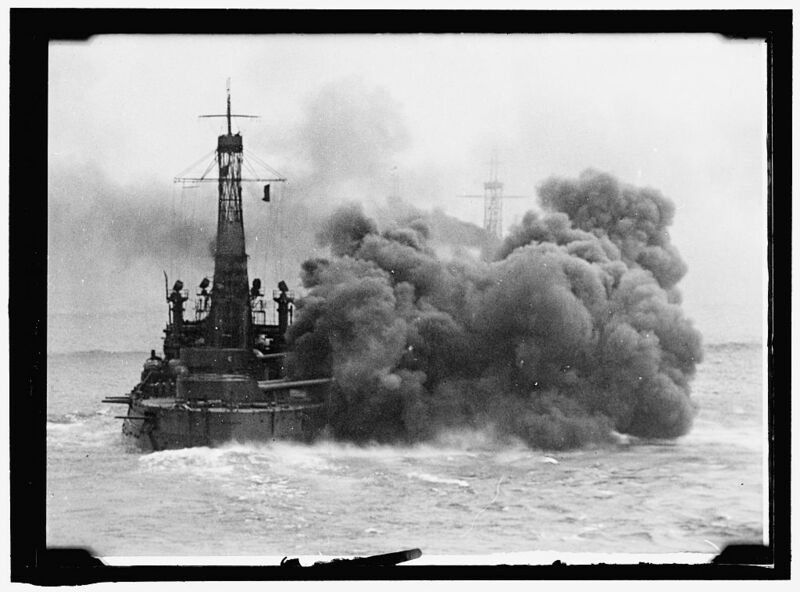 When WWI came to the US, she spent several months training new gunners mates and sailors in the comparatively safe waters of Chesapeake Bay before heading to Europe. 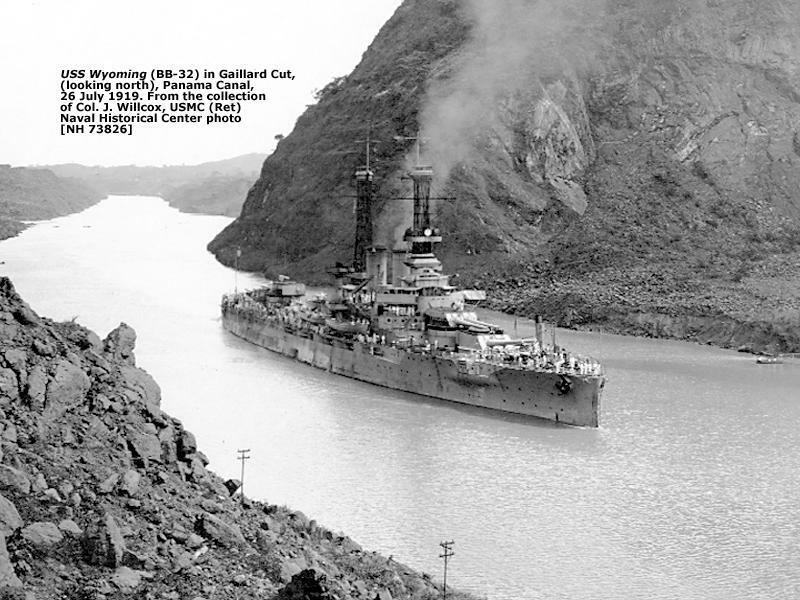 Since the British could not support the newer oil-fueled US ships like the USS Pennsylvania, Wyoming, since she was one of the last coal-fired battleships in the Navy appealed the British. 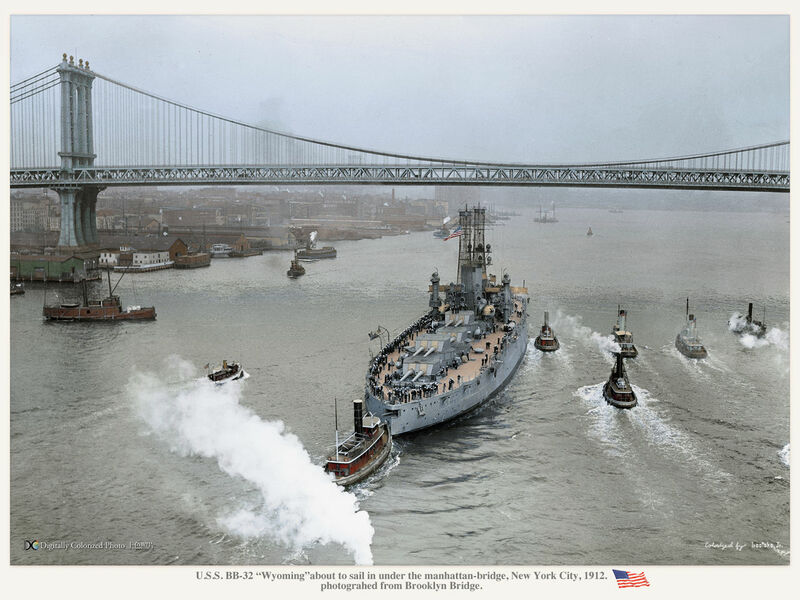 In November 1917, Battleship Division 9 (BatDiv 9), made up of the Wyoming, USS New York, USS Delaware, and USS Florida, departed the U.S., bound for Europe. BatDiv 9 was to reinforce the British Grand Fleet at its base in Scapa Flow, becoming the 6th Battle Squadron of the RN’s Grand Fleet. It seemed the King forgave the colonials for that whole 1776 thing. 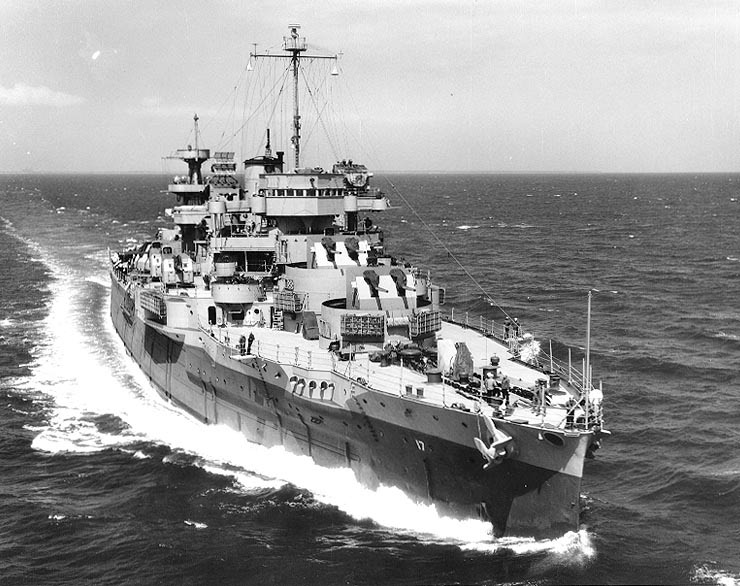 Wyoming escorted convoys and attended to the surrender of the Kaiser’s High Seas Fleet at Scapa before serving as the flagship for Admiral Sims. She returned home after the war and spent the next decade in routine fleet operations. 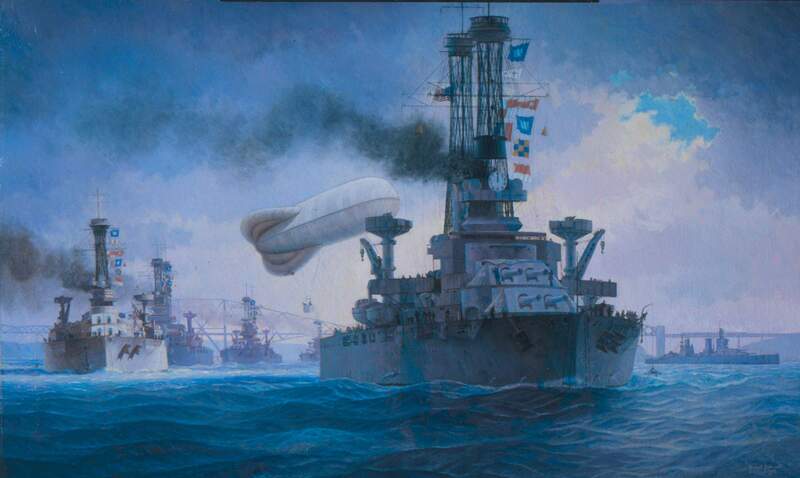 This rare oil painting by American artist Burnell Poole, “The 6th Battle Squadron of the Grand Fleet Leaving the Firth of Forth”, is one of less than two dozen paintings owned by the Navy that depicts U.S. naval operations in World War One (WWI). After years of being considered a total loss by Navy Art Gallery curators, it has been restored to near perfect condition. The entire process took several months, but the result is the total recovery of a painting that is sure to establish Burnell Poole’s name among the best marine painters of the early 20th century. 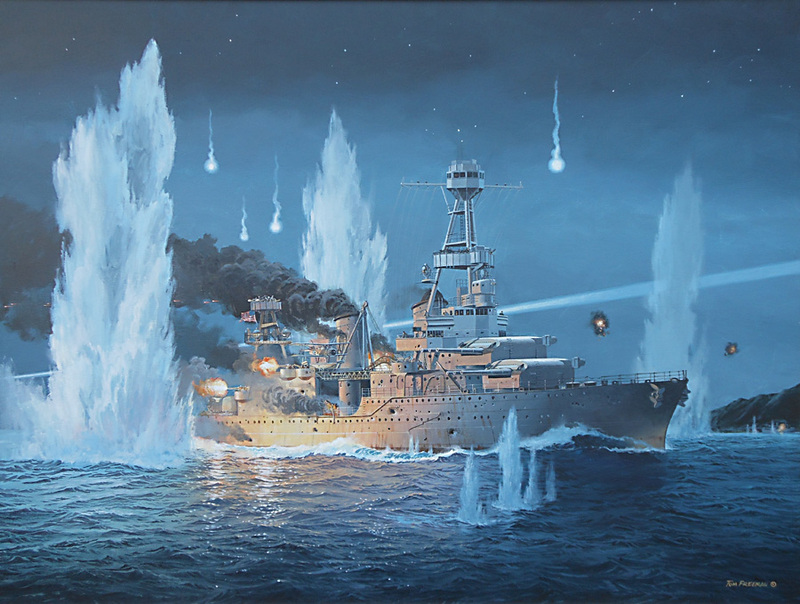 The composition of the ships of the 6th Battle Squadron during their operational history, appearing in the painting in no particular order were: Delaware (BB-28), Florida (BB-30),Wyoming (BB-32), Arkansas (BB-33), New York (BB-34), Texas (BB-35), & Arizona (BB-39). By 1931, the ship was on the chopping block. 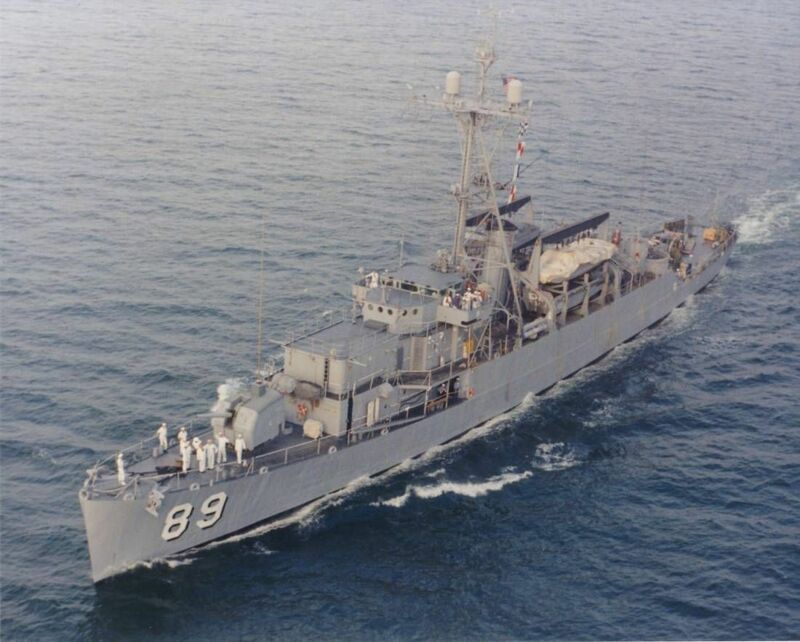 The Navy had newer and more modern vessels than the old, coal-fired Wyoming. With the limitations of the looming London Naval Treaty and all the allowed battleships spaced being taken by newer ships made after Wyoming, the ship’s days were numbered. 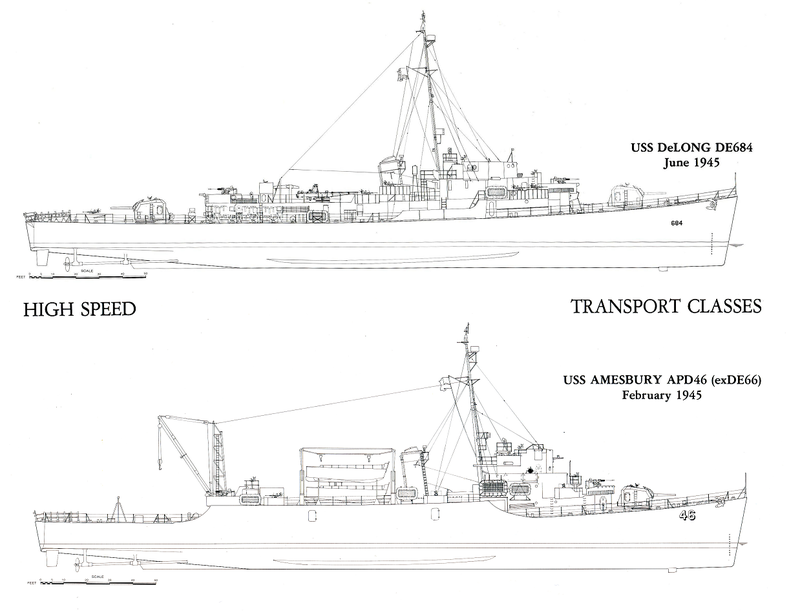 Instead of being scrapped, she was allowed to be retained as a disarmed training ship. Half her 12-inch turrets were removed as well as most of her 5-inch guns (they were often too wet to work anyway) and she was reclassified as Auxiliary Gunnery Training Ship #17 (AG-17) in August 1931. For the next decade, she spent most of her time conducting Annapolis Midshipman cruises, NROTC cruises and other training evolutions around the world. She showed the flag from Germany to Panama to Gibraltar and Egypt. When World War Two started, the ship was thirty years old, had a cranky engineering suite rated for 16-knots, and only half the armament of any other battleship in the world. Not being able to fight toe to toe in a modern naval engagement, she continued to serve as a gunnery training ship. Bristling with AAA guns ranging from 5″/38s to 40mm to 20mm OKs to 12.7mm M2’s, she wandered around the live fire areas off Norfolk throughout WWII. There is a battleship under there somewhere. 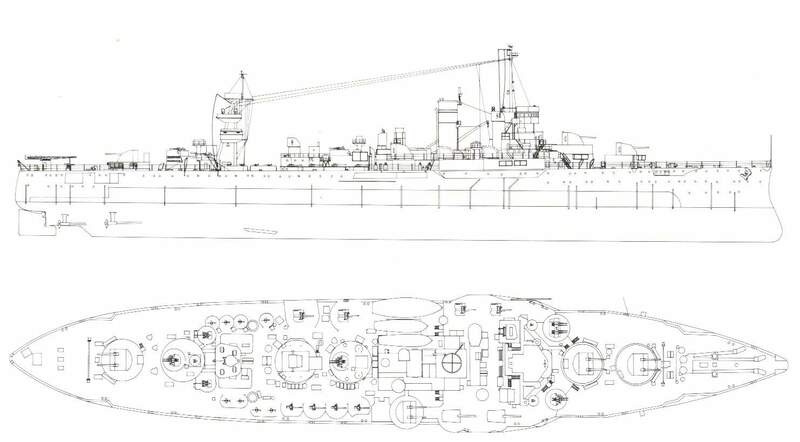 Note all but two 12-inch turrets have been removed and the rear mast completely altered. Her second funnel has been removed. This earned her the nickname of the “Chesapeake Raider” while she trained over 35,000 new gunners and consumed more ammunition than any other ship in the fleet during WWII– although none of it at enemy targets. However, if it wasn’t for the old Wyoming, there would have been more lives lost to kamikazes in the Pacific without a doubt. To help pull this off, her remaining 12-inch guns were removed in 1944, going to replace elements on battleships serving in the fleet. Note by this time the last two of her 12-inch mounts had been removed, but the old WWI lattice mast is still seen forward. At just 560-odd feet, by 1940s standards she was the size of a very large cruiser rather than a battleship of the time. USS Wyoming clearly showing her conversion to an AA training ship. Over 35,000 men trained on her. One of the last officers assigned to the ship at the tail end of the war was Ensign Jimmy Carter, who later transferred to subs and ran for President. Finally, just shy of 35 years of continuous service, the USS Wyoming (BB-32/AG-17) was decommissioned 1 August 1947. Like so many historic ships of her era, she was sold for scrap shortly after. Her only sister ship, USS Arkansas (BB-33), did not outlive her, being crushed in the underwater nuclear test BAKER at Bikini Atoll in June 1946. Steaming proud on her direct-drive steam plant, at the time the last in the navy. Of course, losing 7,000 tons in armor, 12-inch guns, and shells can do that for a lady. By this time her masts had been totally stepped. 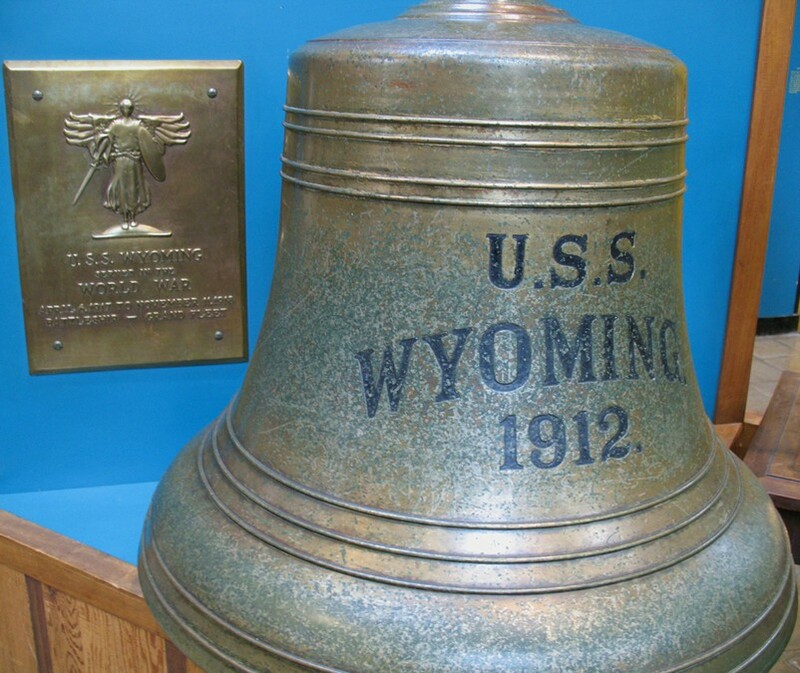 The US Naval Museum stores the original BB-32’s Bell and her silver service was presented back to the State of Wyoming in 1978. She is also remembered in maritime art. The legacy of the USS Wyoming was picked up by the Ohio-class ballistic missile submarine USS Wyoming (SSBN-742) in 1996 after spending nearly fifty years absent from the Naval List. Note the clean lines as commissioned in 1912. After 1944 refit, she was a completely different ship. After 1940 she carried an increasingly varied and constantly changing series of AAA weapons ranging from 5″ to .12.7mm were fitted to the ship as her role in gunnery training. 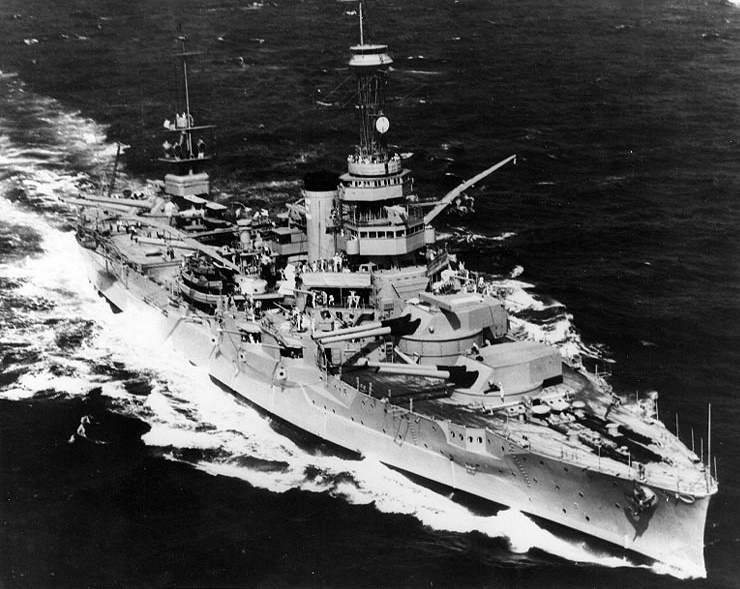 After 1944 refit her last armament of 40+ weapons was truly bizarre for a 1912-designed battleship. It consisted of eight 5″/38 caliber guns, six of which are in twin mountings such as found on cruisers, carriers, and battleships, and two in Mk30 single enclosed base ring mounts common to destroyers and tenders. Then there were four older (original issue) single-mounted 5″/51 caliber guns of the type found on armed merchants and naval auxiliaries mounted on the ship’s port side. A quartet of 3″ deck guns of the type used by submarines and small frigates graced her starboard. For 40mm Bofors, the ship had a dozen in one quad, three twins, and two single mounts. 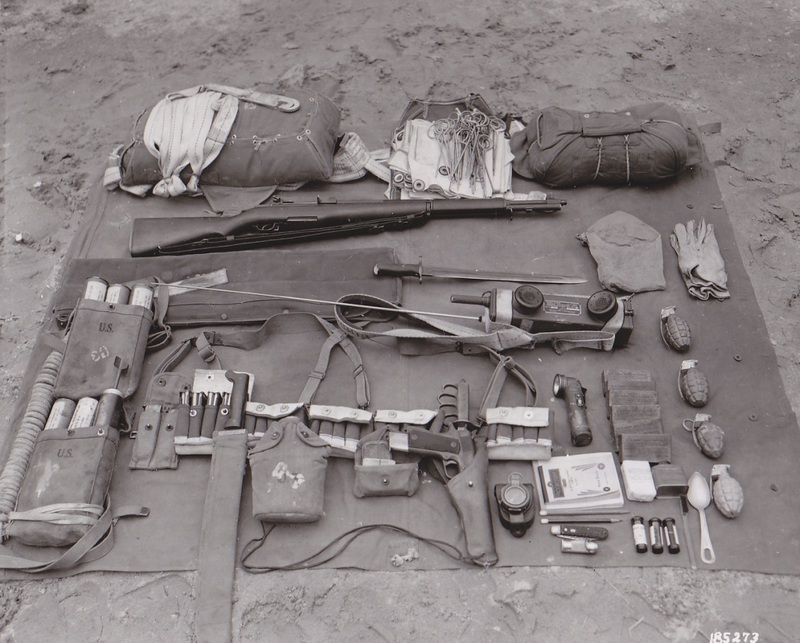 Then came no less than a dozen 20mm Oerlikons (in some 8 double and some in single) mounts as well as fifty cal and thirty cal Brownings, small arms, etc.